This adorable little teddy bear dressed as a bunny has a purpose! It is great for holding on to your balloon bouquet so it doesn't fly away! Just simply tie the balloon strings through the little loop and admire this little plush animal holding your balloons. A balloon anchor like this is perfect for baby showers and new baby announcement balloons. 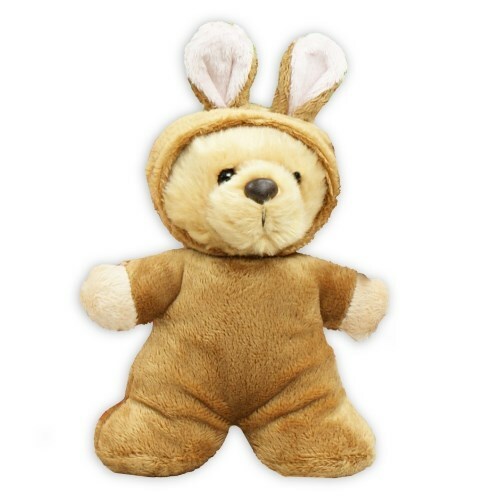 Measures 7" H x 6" W.
Additional Details Shop all of our plush Easter gifts to find the perfect Easter basket stuffer!